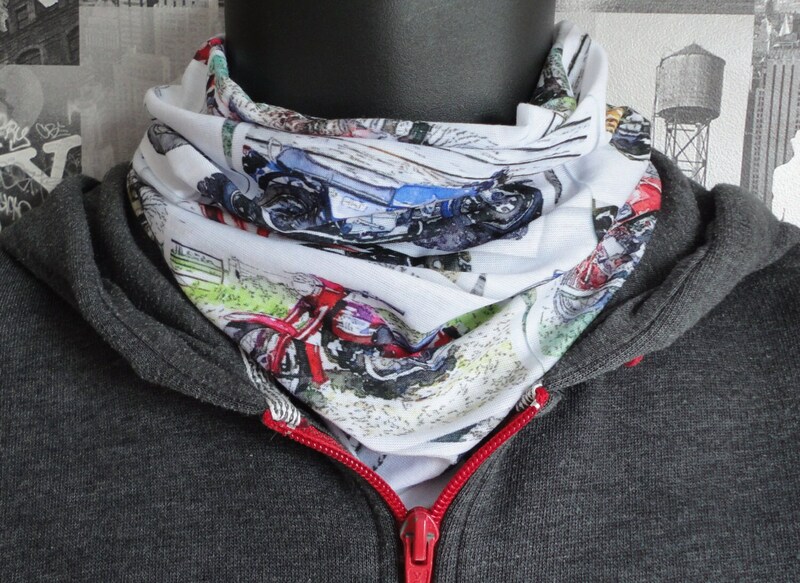 Neck tube, snood, can also be worn as a bandanna, hat, etc. one size fits all. 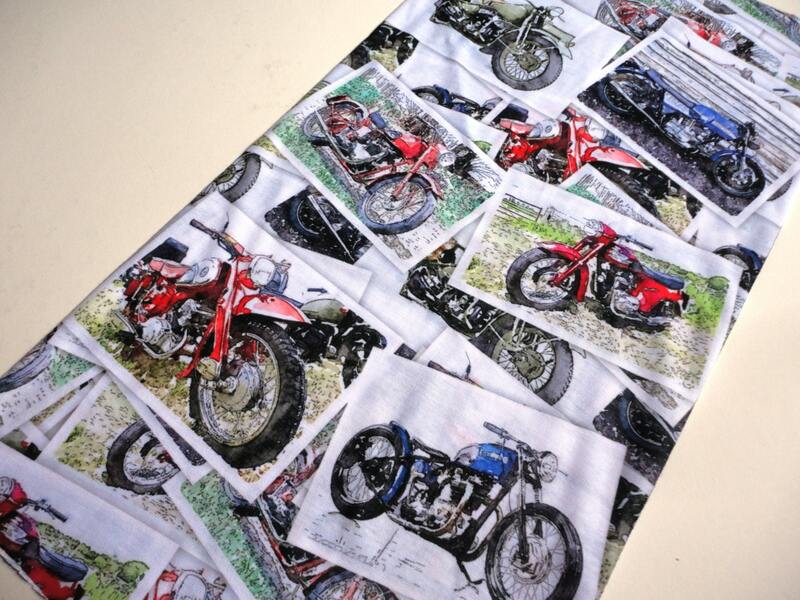 Motorbike print on white background, cotton stretch fabric.